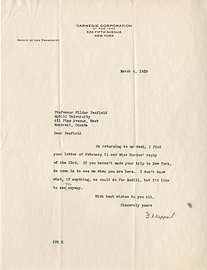 Letter from Frank Cyril James to Wilder Penfield, February 22, 1943. 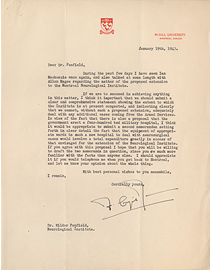 Letter from Frank Cyril James to Wilder Penfield, January 19, 1943. 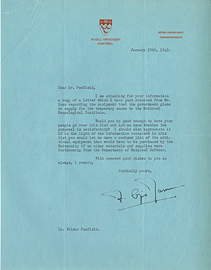 Letter from Frank Cyril James to Wilder Penfield, January 19, 1945. 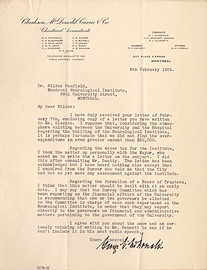 Letter from Frank Cyril James to Wilder Penfield, January 6, 1943. 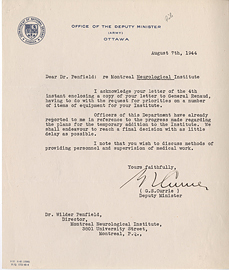 Letter from Frank Cyril James to Wilder Penfield, July 5, 1944. 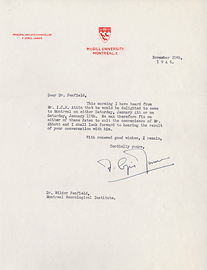 Letter from Frank Cyril James to Wilder Penfield, November 20, 1946. 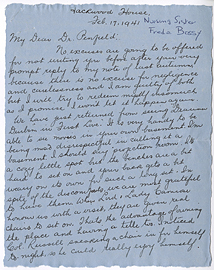 Letter from Freda Bossy to Wilder Penfield, February 17, 1941. 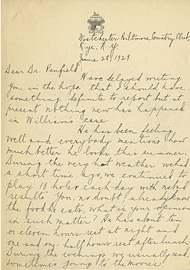 Letter from Frederick Keppel to Wilder Penfield, March 23, 1925. 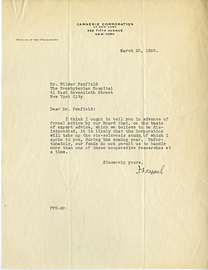 Letter from Frederick P. Keppel to Wilder Penfield March 4, 1929. Letter from George Currie to Wilder Penfield, August 7, 1944. 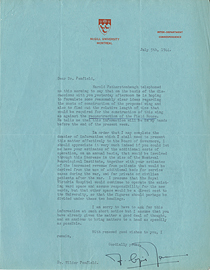 Letter from George J. Beal to Archibald P. S. Glassco, June 26, 1934. 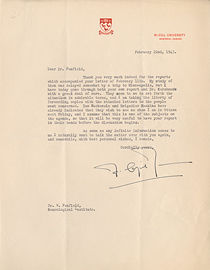 Letter from George McDonald to Wilder Penfield, February 8, 1935. 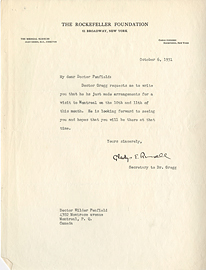 Letter from Gladys E. Russell (Secretary to Dr. Gregg) to Wilder Penfield, October 6, 1931. 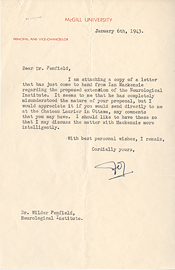 Letter from Gordon Petrie to Wilder Penfield, June 28, 1929. 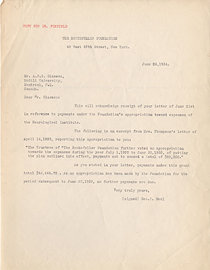 Letter from H.B. 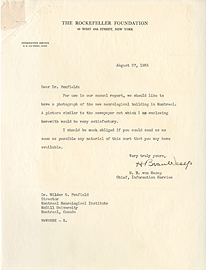 van Wesep to Wilder Penfield, August 27, 1935.